With thousands of food blogs out there on the internet (and growing everyday), it’s becoming increasingly harder to get your blog noticed. Sometimes I’ll get emails from bloggers who are just starting out, asking me for their advice on how to grow their blog audience. I always tell everybody advice that seems like it belongs in a cheesy, after-school special: focus on creating good content (that is, tasty recipes and pretty photographs) and don’t try and pretend to be something you think people want. There are a wealth of blogs out there, but only one you with your own unique voice, experiences and life that people want to read and know about. But you have to admit... some people just have better lives than others; far better than YOURS. My mean little voice is, of course, referring to people like Mimi Thorisson, the famed blogger behind Manger. Her blog first skyrocketed to fame several years ago when it was heralded for seasonal, regional and locally-sourced recipes that celebrated provincial French cuisine. Pretty soon, however, Manger inevitably became more about Mimi and her picture-perfect life: because besides the tasty cuisine that she cooks herself, she is also stunningly gorgeous and lives in the French countryside in a beautifully restored farmhouse with her seven children, fourteen dogs and an Icelandic photographer husband named Oddur Thorrison (what a name!). And now, Mimi’s just come out with a new cookbook: A Kitchen in France. 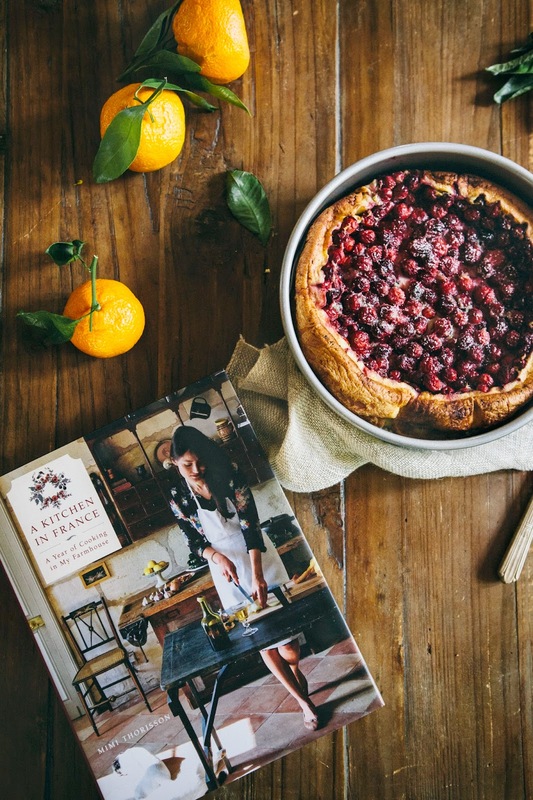 The cookbook is every bit as stunning as her blog, if not more so. There’s something so wonderful about being actually able to hold this heavy, hardbound book and fully immerse yourself in Oddur’s beautiful and dramatic photographs of Mimi and her family, their meticulously prepared meals and the French countryside. Every page I turned got me more lost in their elegant, dreamy lives — do real people actually live like this, in restored farmhouses in tiny, pastoral villages where locals stop their cars to pick mushrooms from the road? Apparently so, according to Mimi. If there’s one complaint I have about the book, it’s also what I love about it so much: the entire thing just seems like a damn fantasy. Undeniably gorgeous on paper and Pinterest, but in real life? Incredibly impractical, bordering almost on inaccessible. The recipes in the book look great, sure, but where on earth was I going to find the the time to make a pie crust from savoy cabbage leaves or find ingredients like black locust flowers to fritter and grapevines to grill quail on? When will you? I was surprised to find that the recipe was relatively easy and fuss-free, using only a mixing bowl, a whisk and a baking pan. But truth be told, Mimi’s recipe reminded me more of a giant popover or a Dutch baby pancake with its dramatically puffed up edges. My end result differed somewhat from her own version, but that’s likely due to my substitute of seedless cranberries in place of heavy unpitted cherries. And while the pastry was extremely tasty (I loved Mimi’s use of orange blossom water to flavor it), it was quite the departure from the traditional flanny and custardy clafoutis I’d made in the past (a recipe from Tartine Bakery’s cookbook, which I highly recommend). 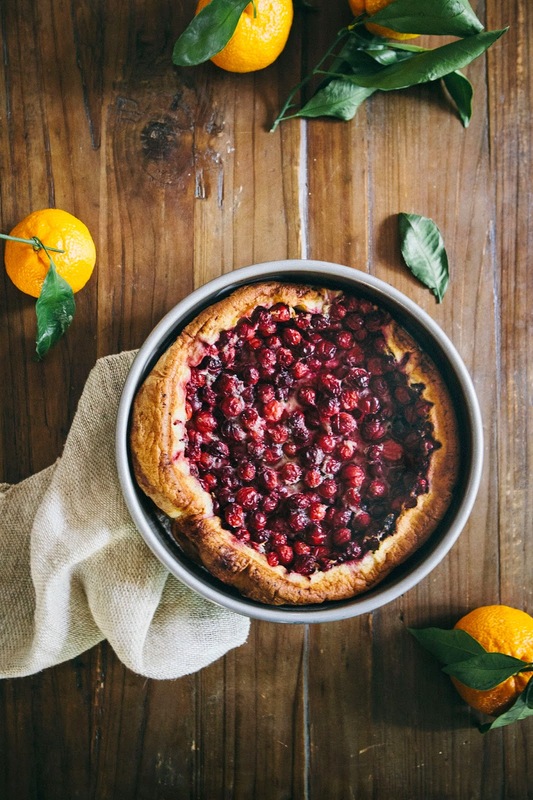 UPDATE: A French reader of mine just informed me that I’d actually made a flaugnarde instead of a clafoutis — apparently the two pastries share the same batter, but one is called a clafoutis only when cherries are used and the rest of the time it's called a flaugnarde when other fruits like cranberries are used. Flaugnarde pastries indeed have a more puffed-up appearance because of the lighter fruit, and therefore, a slightly different texture. Want to go the traditional route and use cherries? You can use frozen cherries, but be sure to use ones where the cherries are whole and there have been no sugar added. Using mashed cherries will make the clafoutis too weird and mushy — I tried this once and had to throw out the clafoutis in the end, it was too soggy. Same goes for frozen cranberries or any other fruit you use. Some trivia: traditional clafoutis use cherries with the pits left in since the pits contain amygdalin, which is the active chemical in almond extract. During baking a small amount of amygdalin from the pits is released into the clafoutis, adding a complementary note to its flavor. So if you're the lucky person who managed to freeze a bag of cherries with the pits still in them, you're in luck! Unfortunately the clafoutis tastes best when it's still warm, fresh from the oven. It really doesn't hold well for more than a few hours, when it starts to loose its crispness and puffiness and just turns soggy. In a small bowl, combine 1/3 cup plus 2 tablespoons granulated sugar with fresh orange zest from 2 satsumas. Use your fingers to rub the zest into the sugar until the sugar starts to clump up and becomes aromatic — doing this releases oils from the satsuma zest and makes your sugar more flavorful. Measure out 2 tablespoons of zest-infused sugar from the bowl and set aside. Preheat the oven to 400 (F) and prepare a 9-inch round cake pan by spraying generously with cooking spray. 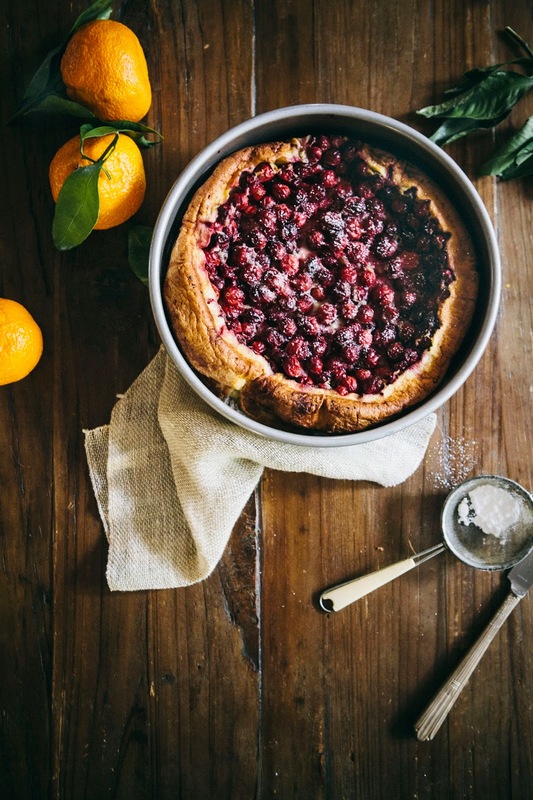 Arrange 12 ounces fresh cranberries at the bottom of the cake pan. In a large bowl, whisk together 1/3 cup granulated sugar and zest (from the 1st step), 3/4 cup all purpose flour, 1 teaspoon freshly diced ginger and a pinch of fine sea salt. Use the tip of a sharp knife to slice the vanilla bean pod lengthwise and scrape the vanilla bean seeds into the bowl of flour. Whisk until thoroughly incorporated, before whisking in 3/4 cup plus 1 1/2 tablespoons milk. Once the milk has been added, add 4 eggs, one by one, only adding the next one when the previous egg before it has fully incorporated. Add 3 1/2 tablespoons melted unsalted butter and 1 tablespoon orange flower water and continue whisking until you get a smooth batter. Pour the batter into the pan containing the cranberries. Bake in the preheated oven for 15 minutes, before lowering the oven temperature to 350 (F). 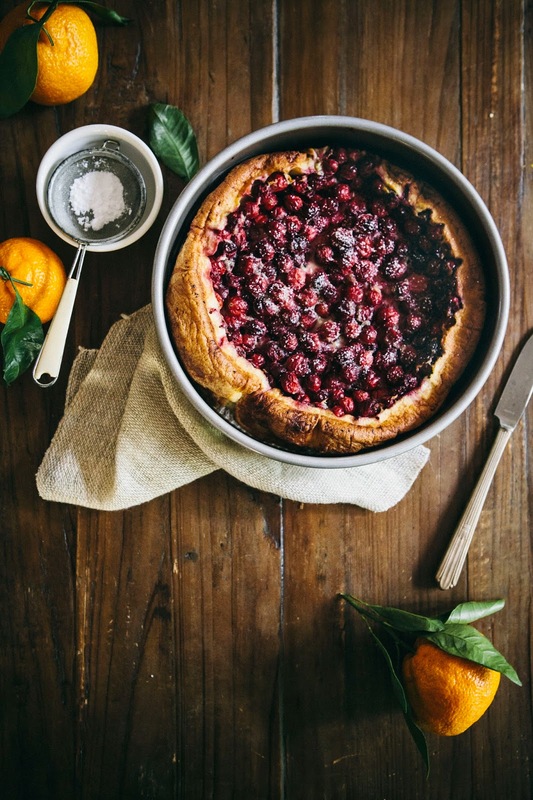 Continue baking at the lowered temperature for about an additional 30 minutes, until the clafoutis has puffed up and lightly browned. 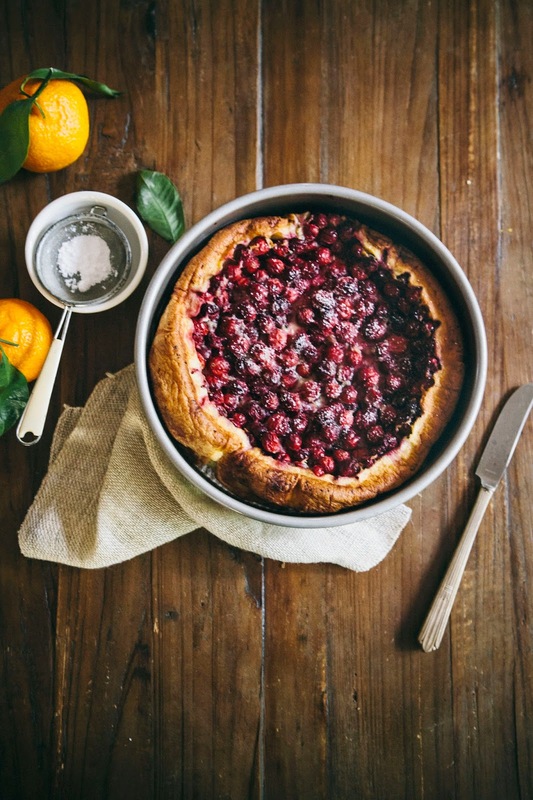 Once the clafoutis is finished baking, remove from the oven and immediately sprinkle the remaining 2 tablespoons of granulated sugar over the clafoutis. Let cool on a wire rack for 10 minutes, before serve immediately while still warm. Garnish with confectioners' sugar. Ha, I know exactly what you mean about those perfect kinfolk-esque lives that people seem to live. It just seems to far removed from my life that they could be living on a different planet for all that I know. It's all just a bit overwhelming. That said, I love your interpretation of Mimi's recipe. These are pretty much all of my favourite winter flavours in one and it's a simply stunning dish! Don't compare your inside to somebody else's outside. I tend to fill my Instagram with aspirational, beautifully crafted lifestyle images… and then feel terrible if I scroll through while I'm doing something decidedly unglamorous, like eating boxed mac and cheese. Thanks for sharing your similar experiences — it's reassuring to hear that impressive food bloggers get that lifestyle FOMO, too. I'd add to your baker's notes that if you're lucky enough to know someone who has made this ahead of time and given it to you so you don't show up empty-handed to a Thanksgiving potluck, it re-heats pretty well (~15 minutes in a warm oven) the next day. You'll just want to give it a fresh dusting of powdered sugar when you serve it re-warmed. So well-said. I thought it was just me. Funny because I was just talking about this with my best friend. She said the same thing: how can a woman raise 7 kids and 10 dogs while living a picture perfect life? Oh and write book, blog and have a TV show at the same time?!!? Though I appreciate and applaud her for that I don't think that I could ever be like that. But again, a part of me envies that with a ridiculous amount of passion. The best advise I was given when I started my blog (on a day when I was feeling like I'll never get noticed), a friend told me, "Don't compare your beginning to somebody else's middle". I have made this clafoutis in the past and loved it. You made it look so so beautiful with your gorgeous photography. we just got mimis book too, and are so in love with it!! the cake looks amazing! !